This six-move legs session will hit your quads, hamstrings and glutes hard, as well as your entire core. It’s comprised of two tough straight sets then four more exercises paired into two supersets! Simply do the moves in order, sticking to the sets, reps and rest periods detailed, then have yourself a great result after! 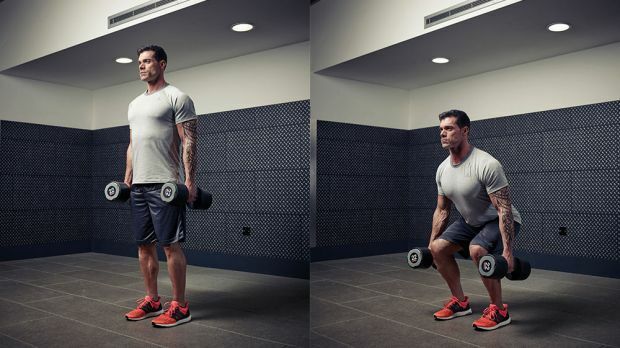 This six-move session is made up of two straight sets and two supersets. Do move 1, sticking to the sets, reps and rest shown, then do all reps of move 2. 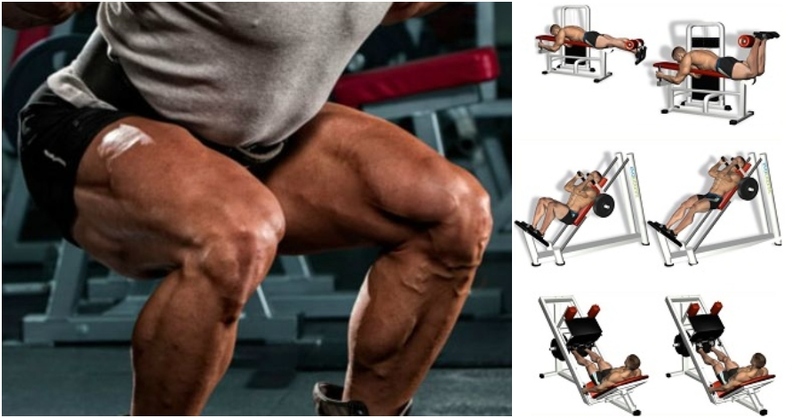 After resting, do moves 3A and 3B as a superset, and the same again for 4A and 4B, to shock your legs into growing bigger and stronger. 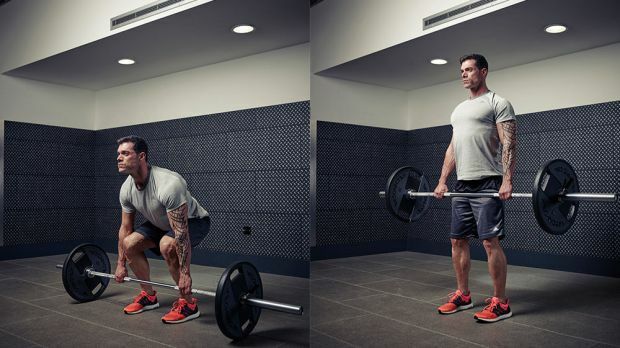 Stand tall with the barbell in front of you, then squat down and grasp it with an overhand grip. 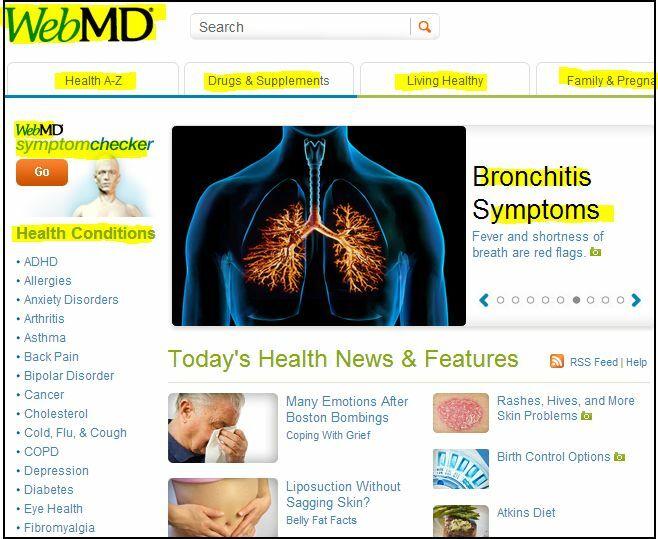 Keeping your chest up and core braced, press down through your heels to stand up. Push your hips forwards at the top, then lower. Sit in the machine positioned correctly according to the instructions. Place your feet lower and closer together to work your quads more, or higher and wider to hit your hamstrings and glutes more directly. 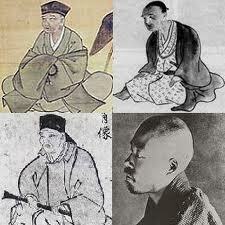 Bend your knees to bring them towards your chest, then press back to the start. This first superset will hit your hamstrings and quads hard. Because these two major muscles will be thoroughly warmed up from the first two straight sets, try to go as heavy as you can while maintaining correct form and completing all the reps. Go slow on the eccentric part of the move, where you return to the start, to work your muscles even harder. 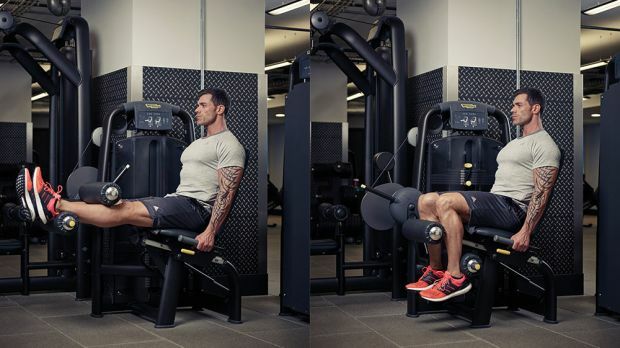 Position yourself correctly with your legs straight and the padded bar against your lower leg. Squeeze your hamstrings to bring your heels towards you, then return to the start. Position yourself correctly with your knees bent and the padded bar against your shins. 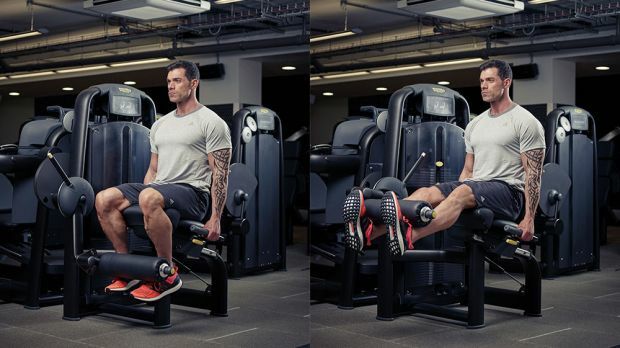 Raise your feet to straighten your legs, then squeeze your quads at the top. Lower back to the start position slowly to increase the tension on the target muscles. 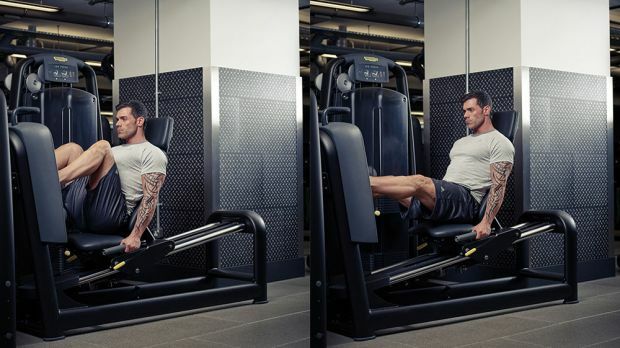 This final superset comprises two high-rep moves to target and fatigue as many muscle fibres as possible so you end the session with your heart rate soaring. 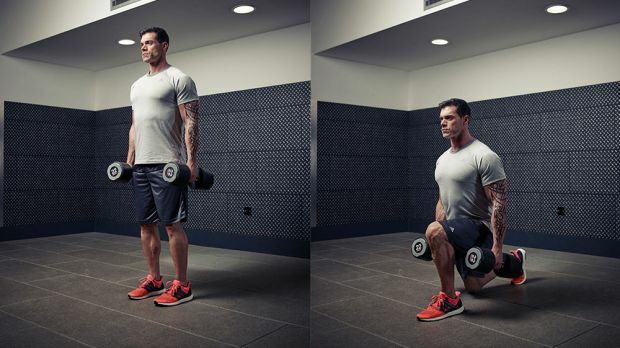 If you struggle to hit the rep target, lift lighter or finish each set with bodyweight reps.
With your chest up and core braced, take a big step forwards with your left leg and lunge down until both knees are bent at 90°. Push off your front foot to return to the start, then repeat with your right leg. Alternate your leading leg with each rep.
With your chest up and core braced, bend at your hips and knees to squat down as deep as you can without rounding your back. Push down through your heels to stand back up and return to the start position. I, for one think this exercises are very beneficial to one’s health!